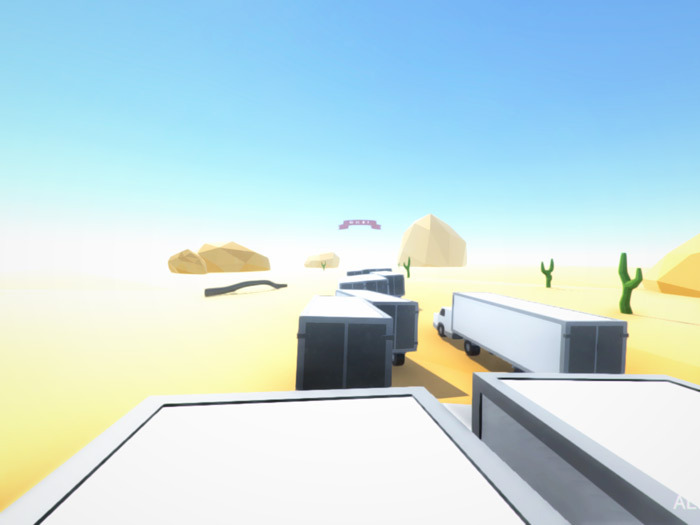 "A fun platformer where you jump on trucks"
Cluster Truck is a crazy little platform game where you have to reach the end of each level jumping from moving truck top to moving truck top from the same developers who brought us AirBrawl. 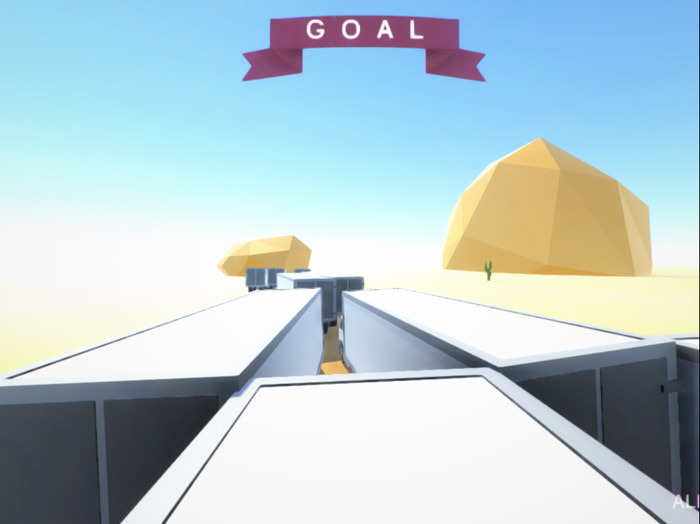 The first couple of levels of Cluster Truck are pretty easy and induct you in to the game nicely after that the levels start to become more complex throwing objects in the way causing the trucks to crash meaning you must jump much quicker from truck to truck trying to avoid being on top of any trucks as they tip over. The graphics are nothing mind blowing however they are quite cool and fashionable in a boxy kind of way but that doesn’t take anything away from the excellent the game play which is a lot of fun and although some levels can be frustrating and quite hard to get through it is also this quality that will keep you coming back to play more trying to get past those more tricky levels. The game is addictive yet at times frustrating however it does have the factor that you want to keep going back to it and trying the levels over and over again even after the 15th time attempting the same level! The levels do get a lot harder as you go on but mastering the jumps between the trucks is very satisfying and completing one of the more complex levels is quite an achievement. In comparison with the previous release from Landfall games Clustertruck is certainly a step up and much more enjoyable there is not huge amount of variation in the levels but it’s a great idea for platform although could use a little polishing but with a name like Cluster Truck there’s a lot to love about this game. You can download Cluster Truck here and play it now.